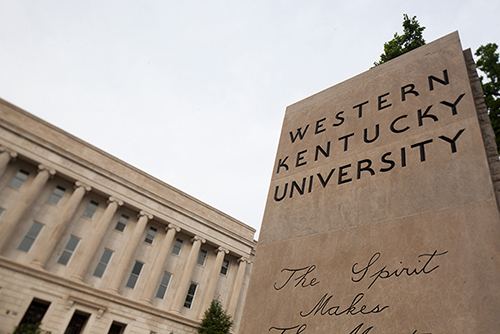 WKU has selected 15 students as recipients of the 2019-20 Cherry Presidential Scholarship, the school’s most prestigious academic award. The scholarship is valued at $16,000 annually and worth $64,000 during a four-year period. The students were among 49 applicants who visited WKU on Feb. 1 for activities that included an interview. In addition to demonstrating outstanding scholastic achievement at the secondary level, applicants submitted personal statements and essays as part of the selection process. Alayna Breslin of Louisville, a senior at Assumption High School who plans to major in Biology. Whitson Buck of Nolensville, Tennessee, a senior at Homelife Academy who plans to major in International Business. Alex Burke of Hardinsburg, a senior at Breckinridge County High School who plans to major in Agriculture. Elizabeth Delozier of Louisville, a senior at Sacred Heart Academy who plans to major in Nursing. Madison Feria of Bowling Green, a senior at South Warren High School whose major is undeclared. Charles Hall of Danville, a senior at Danville High School who plans to major in Communication Studies. Cassidy Manwell of Louisville, a senior at Male Traditional High School whose major is undeclared. Olivia Marita of Florence, a senior at Notre Dame Academy who plans to major in Biology. Felicia McCroskey of Frankfort, a senior at Franklin County High School who plans to major in English. William Miller of Almo, a senior at Murray High School who plans to major in Biology. Hadley Pagel of Calvert City, a senior at Marshall County High School who plans to major in Business Economics. Emma Ridener of Demossville, a senior at Walton Verona High School who plans to major in Biology. Madison Sackella of LaGrange, a senior at South Oldham High School who plans to major in Exercise Science. Jessica Sandfoss of Lexington, a homeschool senior whose major is undeclared. Caroline Shutt of Owensboro, a senior at Apollo High School who plans to major in Economics.